There are times when I am at a session, and I can just feel the magic in the air. This was one of those sessions. There is a sense of magic when you are expecting your first child. Everything is so new and so exciting, and you just can not wait to meet him. The long 9 months is coming to end. Soon you will hold this beautiful boy in your arms and you will lovingly be welcomed into the wild ride of parenthood. It is exciting, it is scary, it is magical! Hands-down, this is one of my favorite portrait sessions of all time. The love this gorgeous couple has for each other and for their little one on the way, is breathtaking. Their love is radiating through each image. Mother Nature must have known that we were capturing something very special at this session too, because she put on her own show this evening. 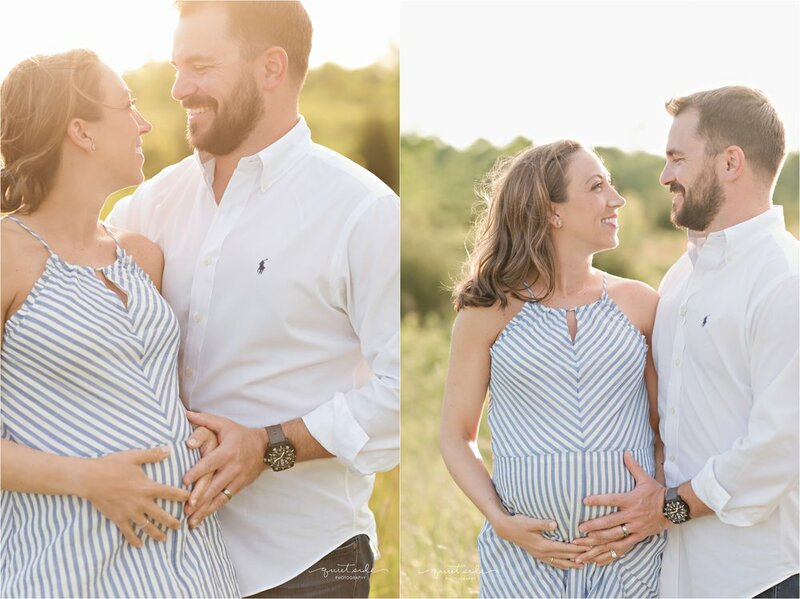 The best sunset, beautiful parents-to-be, and so much love, there was something truly magical about this maternity session.